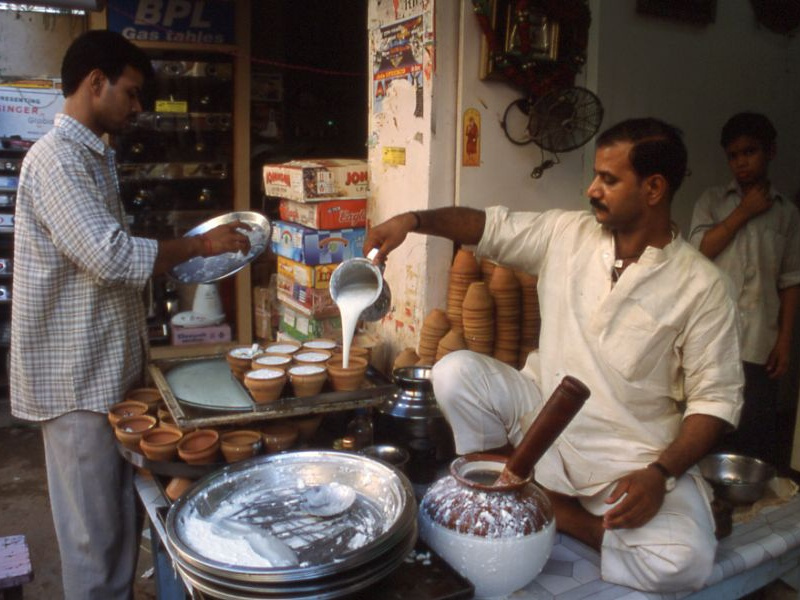 Lassi is a cooling yogurt beverage originally from the northern part of India. Traditionally lassi is unsweetened and has a pinch of salt and some spices mixed in. More recently, sweetened fruit lassis have become very popular drinks, both in India and around the world. Place all ingredients except the ice cubes in a blender and blend until smooth. One by one, add the ice cubes and blend further until they are broken down into a slush. Serve in a tall, cold glass on a hot, hot day. Plain Lassi: Eliminate the sugar, fruit and rosewater. Substitute a pinch of salt and some toasted cumin seeds. Bhang Lassi: A traditional lassi with cannabis extract and ground almonds. Used in the religious festival of Holi. Good fruit choices are mangoes, papayas, strawberries and melons. Or try using lemon or lime juice. You can use anything you like really. Add a pinch of ground cardamom, a few strands of saffron or some chopped mint if you like.